From an average production of 5.1 metric tons of sweetpotato per hectare in 2012, the Philippines is to increase production to 20 metric tons per hectare in 2016, about four times of the country’s usual produce. This is how the Philippine Council for Agriculture, Aquatic and Natural Resources Research and Development of the Department of Science and Technology (DOST-PCAARRD) articulates its science and technology agenda for the country’s sweetpotato industry. DOST-PCAARRD Deputy Executive Director for Research and Development Dr. Edwin C. Villar described the country’s research and development targets on sweetpotato during the Sweetpotato FIESTA held at the Tarlac College of Agriculture (TCA) in Camiling, Tarlac. The event with the theme “Sweetpotato for health, wealth, and wellness,” showcased sweetpotato as a nutritious alternative staple food and source of income, especially in the countryside and the various technologies to improve the said rootcrop. Villar delivered the message on behalf of Dr. Reynaldo V. Ebora, PCAARRD Acting Executive Director. Considered as one of the important food crops in the Philippines, sweetpotato emerged as an important food resource especially for impoverished areas in the countryside. It is a good source of minerals as it contains high levels of provitamin A and vitamin C, dietary fiber, and phytonutrients. Aside from being used as food, sweetpotato is also used in the manufacture of industrial products like flour and starch. In 2006, sweetpotato contributed P4.4B in domestic earnings. In recognition of the vital contribution of sweetpotato and other root crops to the economy, DOST-PCAARRD, in cooperation with its partners, pursues its Industry Strategic S&T Program (ISP) for Sweetpotato. Villar talked on sweetpotato’s versatility, adaptability, low input requirements, and nutrition, making it a good substitute for rice and corn, especially during the aftermath of calamities. 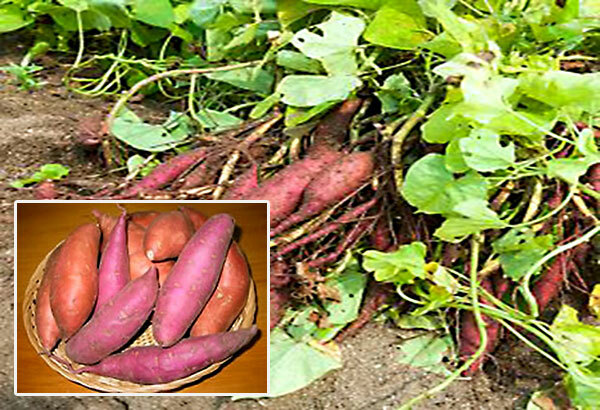 Taking off from TCA’s initiative in adopting Farms and Industry Encounters through the Science and Technology Agenda (FIESTA) to promote sweetpotato as an agricultural commodity, Villar described FIESTA as a strategy towards hastening the delivery of technology to farmers and other clientele. “FIESTA aims to achieve higher agricultural productivity, improve product quality, lower production and distribution cost, and strengthen the economy through the micro, small, and medium enterprises,” Villar explained. “Faced by the aggressive challenge posed by food security and global competitiveness, we need to maximize the potential of the sweetpotato industry,” Villar said. “People’s desire to achieve health and wellness, offers a growing market for sweetpotato and its industry can well participate in the competitive market of organic and natural products,” Villar added. Villar was optimistic that Sweetpotato FIESTA would open doors towards recognizing sweetpotato’s health benefits and in equipping farmers with knowledge and know-how to be able to commercialize and develop their crops.